The following photographs and comments are from Museum Community member Art Jacobs. 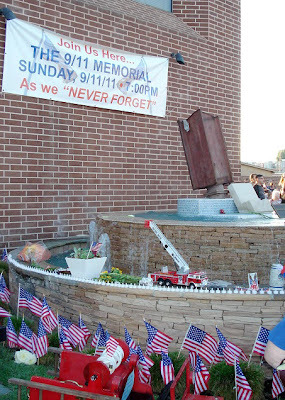 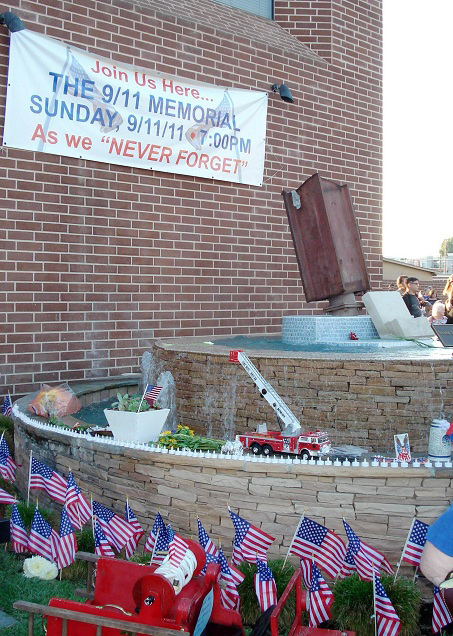 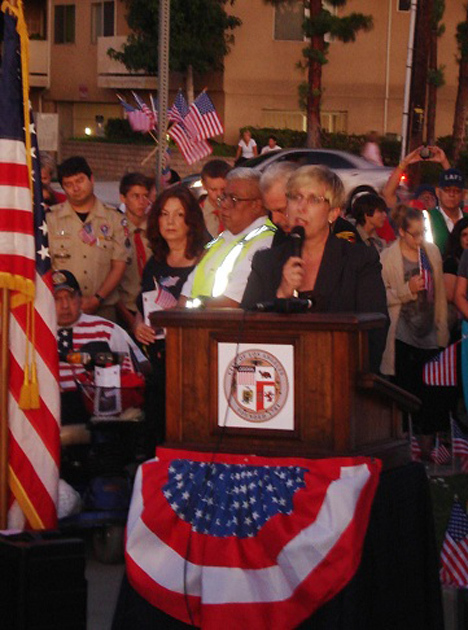 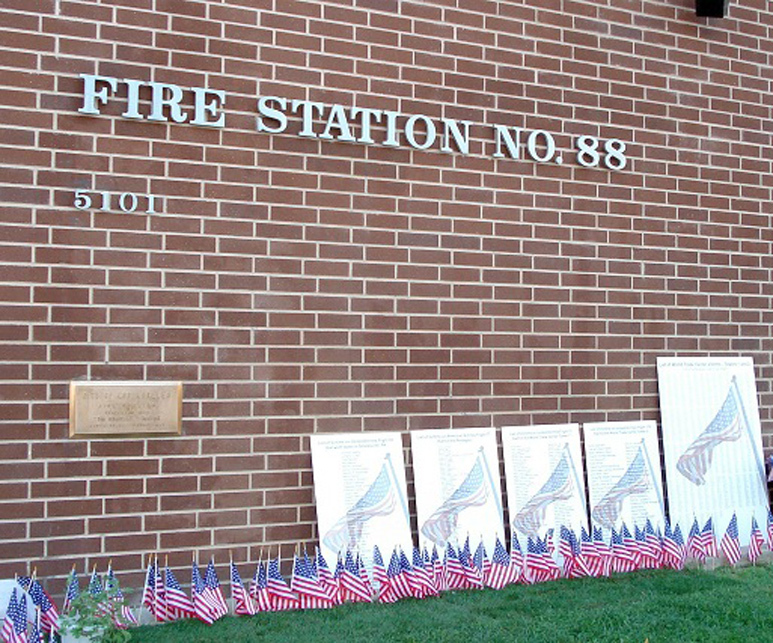 They were take at the 9-11 commemoration at Los Angeles Fire Department station number 88. 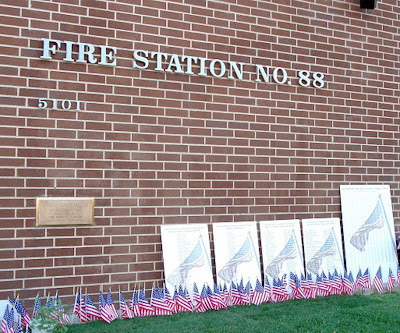 Los Angeles Fire Department Station 88 in Sherman Oaks - 2011. 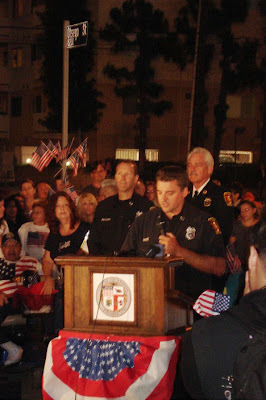 Fire fighter from the California Task Force that responded to the 9-11 emergency and worked at Ground Zero in New York City. 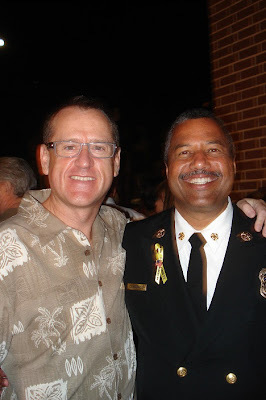 Museum supporter Art Jacobs with new Los Angeles City Fire Chief Brian L. Cummings. 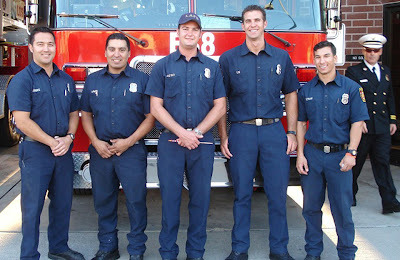 Fire fighters at Los Angeles Fire Department Station 88 in Sherman Oaks. 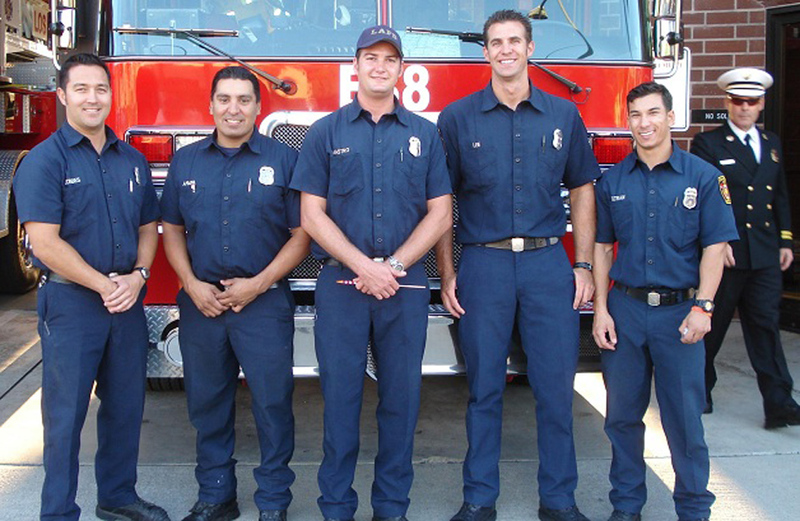 PIERCE COLLEGE FRATERNITY BOYS DURING "RUSH"